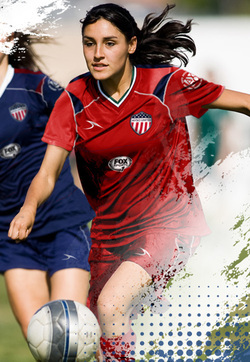 AYSO Santa Clarita proudly offers the UNITED Club Soccer program for accomplished players who wish to play at a higher level in Southern California’s premier CLUB soccer league, all while still enjoying the benefits of the Philosophies and the family-friendly environment of AYSO. 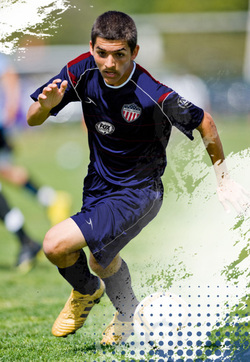 The United Program encompasses players from throughout the entire Santa Clarita Valley, including Canyon Country, Castaic, Newhall, Saugus, Stevenson Ranch, Valencia and Val Verde. Players are selected through open tryouts. All AYSO and club players are welcome to attend our posted tryouts. AYSO UNITED is dedicated to player development while enhancing the soccer experience for all AYSO players within Santa Clarita. The UNITED program accomplishes this by “Giving Back” to the home regions through volunteer service and refereeing, to help make their core programs the best they can be. There are NO HIDDEN MONTHLY trainer fees — that can save you as much as $1,200.00 to $2,000.00 a year! WE are a non-profit, community-based organization. YOU are part of OUR FAMILY! These are a few of the benefits of our program. Don’t let anyone convince you of anything otherwise! What is the minimum my child will play EVERY game? What are the total costs for a fall season and is State Cup included? Are there additional monthly trainer fees on top of the Club fees? Do other clubs have established core values or a mission statement and does it compare with the Positive, Instructional and Encouraging (PIE) philosophies of AYSO?